Additional locations are free of charge and can represent different physical locations or be used to manage different parts of your practice. Below explains how to create new Locations in a Nookal account. 3. Click Create Location in the bottom right corner. 4. Add a Name for the Location. It doesn’t have to be the Business name. It can be any name you use for this Location. It will be displayed in the Diary tab to navigate between the different locations. The Location Name will be used for communication as the [Location.Name] placeholder. 5. Add an Email address for the Location. It is mandatory as it is used as the “reply-to” email for any email sent from your Nookal account. It will be displayed in the letterhead of invoices and letters generated from Nookal. 6. Add the Business Hours. This will not affect providers’ individual schedules or bookings. These are the general hours of the practice Location. 7. The Time Zone should already be set. If not, select the appropriate one so invoices and clinical notes are saved with the appropriate date and time. 8. 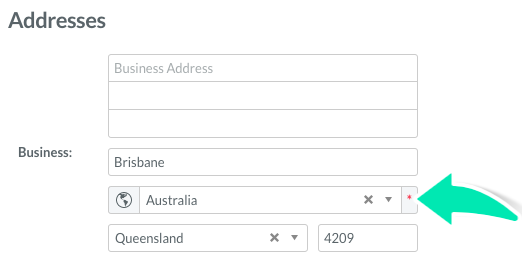 Select the Country if it’s not automatically selected. This will ensure the account is set up with the relevant currency and sales tax rate. 9. Verify that the Company name is accurate. This will be displayed in the letterhead for invoices and letters. 10. Select the Contact person for this Location from the Staff list. 11. 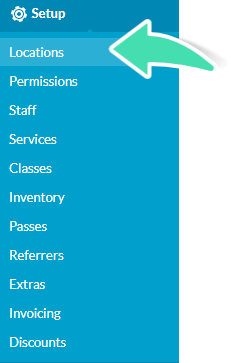 Once all the mandatory fields have been completed, click Save Changes or click here to find out more about additional information that can be added.